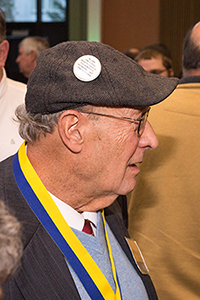 "Murray Baumgarten is truly one of the finest, most decent people I've ever known," noted UC Santa Cruz Chancellor George Blumenthal. "Wherever he goes, Murray builds community. He nurtured the Jewish Studies program, helped launch our Jewish Studies major, and teamed up with Peter Kenez to teach a legendary class about the Holocaust, the online version of which has reached more than 20,000 people in 60 countries. Murray is a campus treasure." 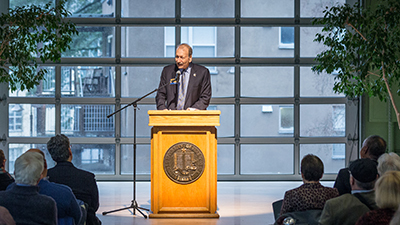 “The fact that so many people—former students, community members, and others whose lives Murray has touched over the years—contributed to the Baumgarten Chair speaks to the tremendous impact that he has had, and through his legacy, will continue to have at the university," Deutsch added. 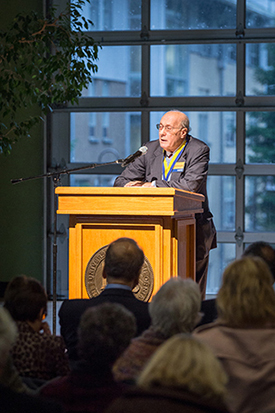 Now a distinguished professor emeritus of English and comparative literature at UC Santa Cruz, Baumgarten was born on a boat traveling from Europe to Panama on the eve of World War II. 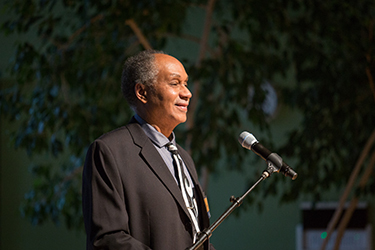 After spending time in the refugee Jewish community of Colon, Panama, Baumgarten immigrated to America, where he earned degrees from Columbia University and UC Berkeley before coming to the newly created UC Santa Cruz in 1967. Hired as a scholar of 19th century British literature, he helped co-found the world renowned Dickens Project. Although the new university did not have a program in Jewish Studies, Baumgarten and a few colleagues decided to create courses in Jewish history and culture to fill the void. 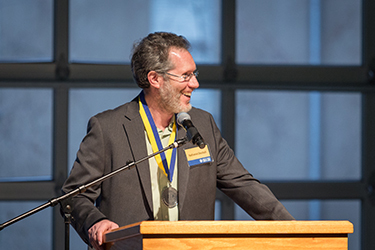 Eventually, with the help of a grant from the Helen Diller Family Foundation, Baumgarten founded the Jewish Studies program and created an undergraduate major. "Jewish culture has responded to--and been shaped by--interactions with the major cultural, political, and social movements since ancient times, and has had a role in shaping them," Baumgarten observed after UC Santa Cruz approved the major. 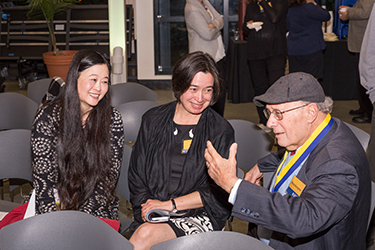 "Our program builds bridges between Jewish culture and the many other cultures that exist in today's world, and illuminates what it takes to navigate in a diverse world," he added.